Job Description: We are currently seeking talented 2D Digital Animators at all levels for an exciting high profile production with worldwide exposure. This position is an excellent opportunity for highly skilled and motivated animators who are willing to push the envelope of what is possible in order to create beautiful memorable animation. Pay is variable and based entirely on productivity and quality. High performance individuals will have an opportunity to make director-level compensation. Our team works on the highest profile and most demanding 2D animated series being produced. If you’re an exceptional animator, you should be working with an exceptional team. Working experience with Toon Boom Harmony software is considered a strong asset. Working knowledge of Toon Boom Harmony is essential. Able to work and communicate effectively in a collaborative, fast paced environment. Strong examples of animation fundamentals. 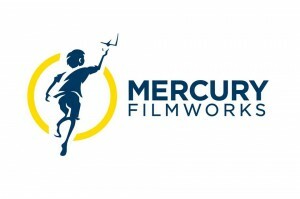 Mercury Filmworks will provide training to those who pass our proficiency test. How to Apply: Please send your resume and link to your demo reel to: jobs@mercuryfilmworks.com and reference: 2DDA-0214 on the front and in the subject line of all submissions. All applicants must reside in Canada and be willing to relocate to Ottawa, Ontario. This entry was posted on Thursday, June 12th, 2014 at 11:15 am	and is filed under Jobs. You can follow any responses to this entry through the RSS 2.0 feed.